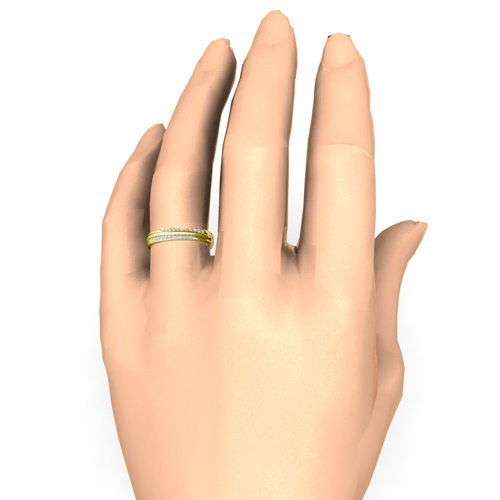 Custom wedding anniversary ring band in pave setting with your choice of diamonds or natural gemstones in 14k or 18k white, yellow or rose gold and platinum. 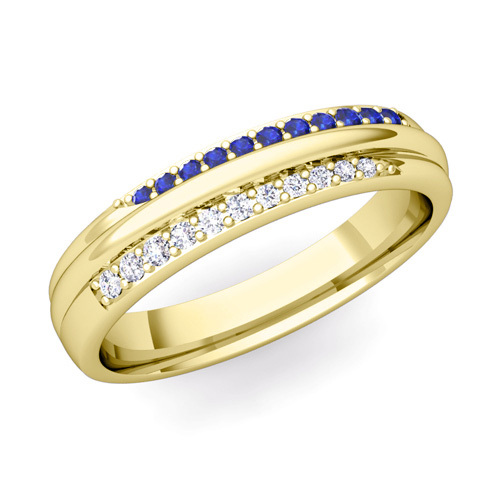 This 14k gold wedding band showcases a central raised ridge half way around this ring with brilliant diamonds and vibrant blue sapphires on each side creating gorgeous sparkles. 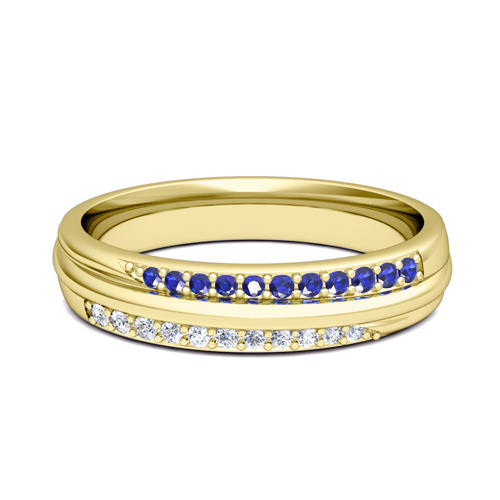 This 18k gold wedding band showcases a central raised ridge half way around this ring with brilliant diamonds and vibrant blue sapphires on each side creating gorgeous sparkles. 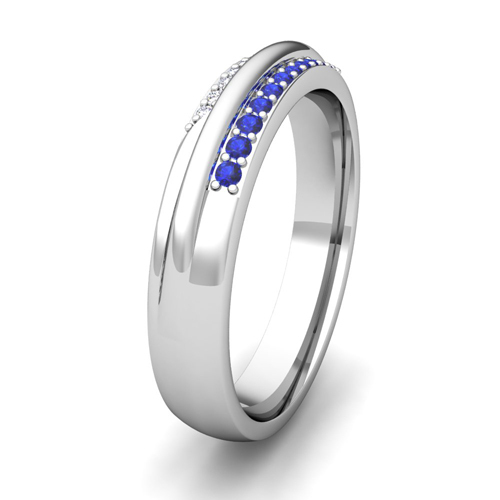 This platinum wedding band showcases a central raised ridge half way around this ring with brilliant diamonds and vibrant blue sapphires on each side creating gorgeous sparkles. This 14k gold wedding band showcases a central raised ridge half way around this ring with brilliant diamonds and vibrant pink sapphires on each side creating gorgeous sparkles. This 18k gold wedding band showcases a central raised ridge half way around this ring with brilliant diamonds and vibrant pink sapphires on each side creating gorgeous sparkles. This platinum wedding band showcases a central raised ridge half way around this ring with brilliant diamonds and vibrant pink sapphires on each side creating gorgeous sparkles. This 14k gold wedding band showcases a central raised ridge half way around this ring with brilliant diamonds and vibrant yellow sapphires on each side creating gorgeous sparkles. This 18k gold wedding band showcases a central raised ridge half way around this ring with brilliant diamonds and vibrant yellow sapphires on each side creating gorgeous sparkles. This platinum wedding band showcases a central raised ridge half way around this ring with brilliant diamonds and vibrant yellow sapphires on each side creating gorgeous sparkles. This 14k gold wedding band showcases a central raised ridge half way around this ring with brilliant diamonds and vibrant red rubies on each side creating gorgeous sparkles. This 18k gold wedding band showcases a central raised ridge half way around this ring with brilliant diamonds and vibrant red rubies on each side creating gorgeous sparkles. This platinum wedding band showcases a central raised ridge half way around this ring with brilliant diamonds and vibrant red rubies on each side creating gorgeous sparkles. This 14k gold wedding band showcases a central raised ridge half way around this ring with brilliant diamonds and vibrant green emeralds on each side creating gorgeous sparkles. This 18k gold wedding band showcases a central raised ridge half way around this ring with brilliant diamonds and vibrant green emeralds on each side creating gorgeous sparkles. This platinum wedding band showcases a central raised ridge half way around this ring with brilliant diamonds and vibrant green emeralds on each side creating gorgeous sparkles. This 14k gold wedding band showcases a central raised ridge half way around this ring with brilliant round diamonds on each side creating gorgeous sparkles. This 18k gold wedding band showcases a central raised ridge half way around this ring with brilliant round diamonds on each side creating gorgeous sparkles. This platinum wedding band showcases a central raised ridge half way around this ring with brilliant round diamonds on each side creating gorgeous sparkles. This 14k gold wedding band showcases a central raised ridge half way around this ring with brilliant black and white diamonds on each side creating gorgeous sparkles. This 18k gold wedding band showcases a central raised ridge half way around this ring with brilliant black and white diamonds on each side creating gorgeous sparkles. This platinum wedding band showcases a central raised ridge half way around this ring with brilliant black and white diamonds on each side creating gorgeous sparkles.